The I-T raid is underway at residences of RK Miglani in Delhi's Green Park and that of OSD Praveen Kakkar in Indore and Bhopal. 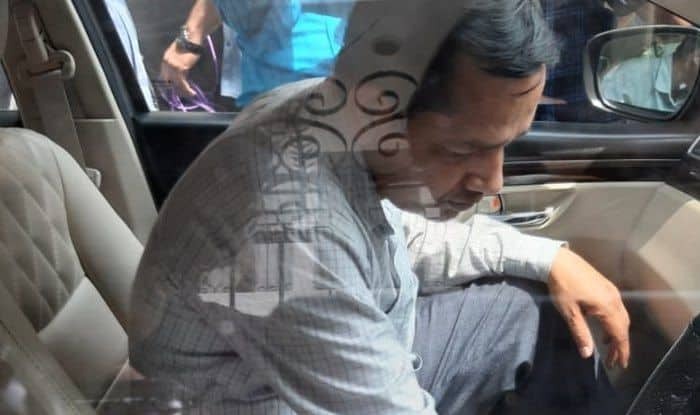 New Delhi/Bhopal: The Income Tax (I-T) department is conducting raids at the residences of Madhya Pradesh Chief Minister Kamal Nath’s Officer on Special Duty (OSD) Praveen Kakkar, Ratul Puri, Amira Group, and Moser Bayer. Searches are currently underway in almost 50 locations including Bhopal, Indore, Goa and Delhi. More than 300 I-T officials are conducting the searches. A 15-member team of I-T officers arrived from New Delhi at 4 AM at the OSD’s residence and are carrying out the raids since then. On Friday, Kamal Nath’s nephew Ratul Puri was summoned by the Enforcement Directorate (ED) in the Agusta Westland case for the second time in a row. However, Puri denied having any connection with the defence or the Agusta Westland deal. Meanwhile, Kamal Nath has said that he will cooperate and wait for the investigation to get over. Raids were recently also conducted by the I-T officials at Dravida Munnetra Kazhagam (DMK) treasurer Durai Murugan and his son Kathir Anand residences and educational institution on last night. Though the leaders cried out foul and accused the state government of playing a political blame game, the money was being routed to fund political campaigns of the Congress and JD(S) leaders ahead of the Lok Sabha elections 2019. Reportedly, I-T officials had conducted searches in the residences of the Karnataka minister in Mandya and Mysuru at 4:30 AM on Thursday. Following this, the workers of both JD(S) and Congress had staged a massive protest outside the IT office in Bengaluru. Pictures of cash stashed were seized from the contractors and engineers by the Income Tax officers from the raids which they carried at residential premises of Prateek Joshi in Bhopal, Madhya Pradesh. Earlier, Andhra Pradesh Chief Minister N Chandrababu Naidu had accused the Modi-led government of trying to intimidate the state government by harassing leaders through Income-Tax (I-T) department raids. The Telugu Desam Party (TDP) chief said that the Centre has been doing so to suppress the promises it had made before the bifurcation of Andhra Pradesh.